Thailand remains committed to piecemeal modernization for its armed forces. Since relations with long-standing ally the US are fraying because of the ruling junta’s grip on power, the Royal Thai Army’s procurement arm has turned to China. Thailand has been receiving and importing Chinese-made armaments since the late 1970s. The partnership then was meant to contain a unified Vietnam that had just conquered Cambodia. The token acquisitions of Chinese small arms, APCs, and munitions didn’t really transform Thai military doctrine since the US was a more consistent supplier for over 30 years. But in 2011 the Royal Thai Army turned to Ukraine for upgrading its armored fleet. This included local production of BTR-3E1 APCs and a follow-on order for T-84 Oplot-M tanks. The Oplot-M is a heavily upgraded T-80UD MBT and its manufacturer claims it’s superior to Russia’s own T-90S. The Oplot-M comes with extensive Ukrainian-made ERA on its front hull and turret. Its side skirts are reinforced. It comes with an active protection system (APS) for deflecting incoming missiles, a digital fire control system, and a remote control machine gun. The Oplot-M runs on a 1,200 horsepower diesel engine and manages a top speed of 70 kilometers-per-hour, which is standard for third-generation MBTs. But six years after Thailand ordered 49 Oplot-M’s to begin replacing its motley collection of tanks the contract got scrapped. In late 2015 news reports began to trickle about the Royal Thai Army’s search for a third-generation MBT. It was believed the Russian T-90S was favored and in December 2015 the Royal Thai Army launched a committee to oversee the MBT sale with a budget of $225 million. On May 13 2016 a Thai blog run by a military enthusiast broke the news the Norinco MBT 3000, also known as the VT4/VT-4, was the army’s preferred future tank. Exactly how many or when the tanks are delivered remained unknown. Days later the story was confirmed by IHS Jane’s via its sources in Thailand and the news has since spread across different outlets. According to IHS Janes a small batch of 28 tanks were ordered with deliveries scheduled from 2016 to 2018. Forthcoming orders could reach 150 units. The estimated total number suggests the VT4 is the Thai army’s replacement for its aging American-made Stingray, M48, and M60A3 tanks. The Thai army is no stranger to Chinese tanks and used to be an operator of the Type 59 and Type 69 until these were retired and disposed of in 2010. The VT4 is Norinco’s premier tank for export and is incompatible with the PLA’s Type 99A and Type 96 MBTs. 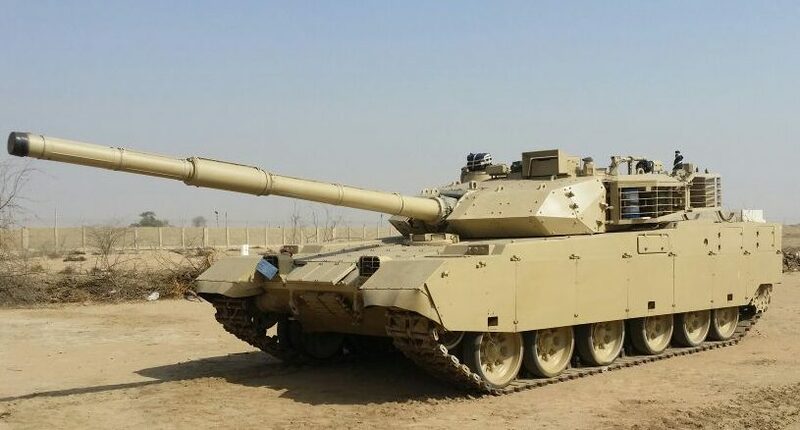 The VT4 appears to be an improvement of the MBT 2000 that is already used by Pakistan (manufactured under license) and Bangladesh. Judging by its appearance the 52 ton VT4 offers superb armor protection on its hull and turret. Its raised engine compartment appears designed to carry either a 1,200 or 1,500 horsepower diesel power plant. Its main armament is a Chinese variant of the Russian 2A46M gun-missile system. Operating the VT4 would put the Thai army ahead of its neighbors and supplant Indonesia’s recent pole-vault to owning the region’s best tanks after Singapore. With its government stacked with generals Thailand is holding its own in the regional gold rush for modern weapon systems. The defense budget for 2016 is just under $6 billion–higher than its immediate neighbors Cambodia, Malaysia, and Myanmar–and further acquisitions are expected.